Be sure to join us on Saturday, July 12th for the LAMP’s “First Annual Family Media Scavenger Hunt” at Prospect Park from 10am-2pm. The entire event is free, so get your family together to explore the different media you see each day in your neighborhood! We’ll give you a list of different things to find, such as positive representations of women, different advertising techniques, ethnic identity and more. Lunch will be provided, and raffle tickets will be sold for TONS of prizes including an iPod from TekServe, a 1-year Zipcar membership and tickets to the Bronx Zoo, courtesy of Zipcar, CDs from Park Slope Parents, and tickets to the Brooklyn Cyclones! Registration is due by July 5 and space is limited. Call us today at 718-789-8170 or register by email to reserve your family’s spot. The LAMP is proud to announce a major step forward in our growth as an organization. Starting today, we are being brought into the Fund for the City of New York as part of their Incubator Program which supports and nourishes only the most promising nonprofits in New York City. For over 35 years, the Fund has lent millions of dollars and led initiatives to improve the lives of people living not only in New York City, but the rest of the country as well. The backoffice support and strategic guidance we will gain in the Incubator Program will free us up to do more fundraising, and in turn expand our abilities to provide media literacy skills to all of New York. The LAMP is pleased to announce a new publication from our Educational Director, Katherine Fry, Ph.D. Also a professor of media studies at Brooklyn College, Dr. Fry is a co-editor and contributing author of “Media, Myth and Religion in Space and Time.” The book is published by Hampton Press, and is available through their website and through amazon.com. As Dr. Fry’s second book, it explores media identity within the contexts of space, time, myth and religion. If you’re interested in getting involved with the LAMP, why not volunteer? Our rapid growth means that we are needing more help and can use people to assist in classrooms, help out at events, edit videos, design graphics and more. To find out more, send us an email explaining what you’d like to do, how much time you can give us and your age. And…the LAMP now has a flickr page! This is where we will be housing photographs while we continue to build our website capabilities. Visit today to see pictures from our classes and events! Occupation: Executive Producer, Producer/Director for Ark Media/PBS Frontline. Family: Married to Barak Goodman with 3 children, Noah, Jesse and Ruby. 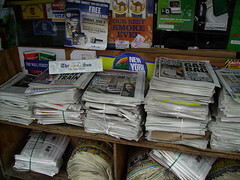 del.icio.us, New York Times on the Web, Mediastorm, Monocle. Favorite movies: Reds, favorite current movie is Iron Man. Favorite media indulgence:Watching reruns of “The Office” with my husband at 11pm. What do you think are some of the biggest challenges facing families today in the digital world? Where do I start? The speed at which everything is changing; the challenge of balancing the incredibly enriching possibilities the digital world offers our kids with its potential to lead them astray; the extraordinary influence popular culture has on our kids lives today and the open access it has into their minds and hearts. How are you exploring new media with your family?We surf YouTube together for videos about things the kids are curious about. We play the kids music from the bands we like on iTunes. We Google things with them when we don’t know the answer. As a documentary fillmmaker, how has the Internet changed the way you work? 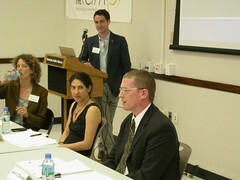 My newest project “Digital Nation” will be reported first online, before it is broadcast on PBS. I’ll be posting the material I shoot as I shoot it, encouraging reactions from viewers and blogging about the process as I go. No more being shut up in an editing room and emerging with a film six months later! It’s all going to be transparent now. July 14, 1798: The Alien and Sedition Act was passed, prohibiting “false, scandalous and malicious” writing against the U.S. government. July 20, 1969: A global audience watches as Apollo 11 astronaut Neil Armstrong took his first steps on the moon. 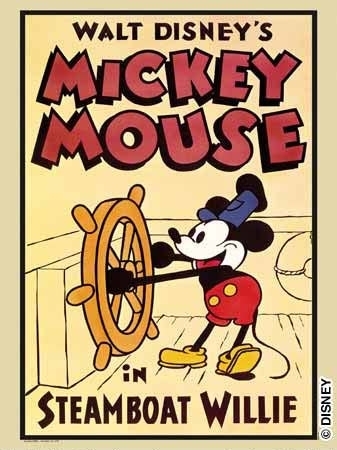 July 29, 1928: Walt Disney’s famous “Steamboat Willie” is first released. Sound is added to the Mickey Mouse cartoon for the first time in November of the same year. As a non-profit grassroots organization, your support is essential for the LAMP to continue. When you make a tax-deductible donation to the LAMP, you are helping us to cover basic costs so that we can continue to offer our workshops at no cost to participants. Checks can be made out to “FCNY/The LAMP,” and thank you for your contribution.